Not a very exciting blog this time. When working on games in CryEngine (or other similar engines) it might be useful to lay out some standards for level entities and scripts. This is based on years of experience working in CryEngine, but is probably woefully out of date by now. Hopefully you find it useful, even just to see how professional levels are organized! Levels are split up into sections known as “Action Bubbles”. An action bubble is an area within the map that has clearly defined boundaries. Areas that connect action bubbles are “Transitions”. These can also sometimes be referred to as “Gates” or “Valves” and have technical considerations for the loading/streaming of action bubbles. Any assets that are not specific to an Action Bubble are placed on a “Global” layer. 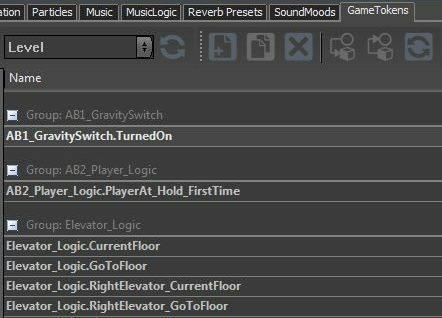 Global layers contain level-wide assets such as skyboxes, ambient sounds or global logic. ABX = The parent of all the layers that make up an Action Bubble (AB). ABX_AI – All AI related assets are placed within this layer. This includes actors, AI vehicles, waves entities, territory entities, tag points involved in pathing, navmesh markup, smart objects and any areas or triggers related to AI setup. ABX_Geometry – All static geometry that relates to this action bubble is placed in this layer. Brushes, geom entities, large physics objects etc. This is primarily an “Art” layer. ABX_Logic – Contains the Flowgraph Containers used to script the level. Can be used to store debug assets during level creation. ABX_Particles – Contains all particles used in the action bubble. ABX_Sound – Contains all the sound information for the action bubble. Geometry – Any objects that make up the background scene go here. 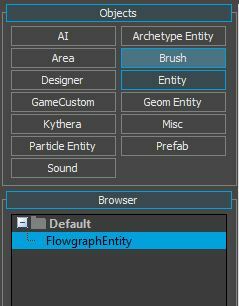 Skybox – If the skybox is made up of more assets than the environment tab (e.g. 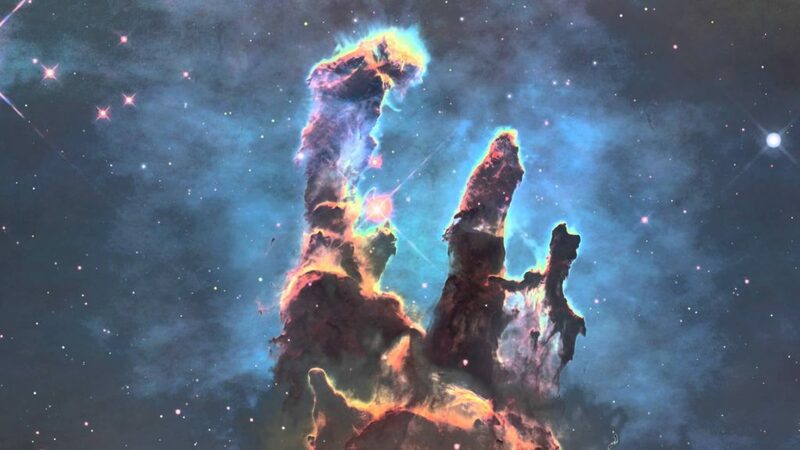 hand placed nebula) these assets go here. Developers can add any additional layers here that are requires for the background of the level that need to be split out. 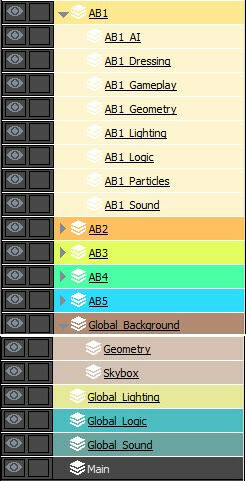 Global_Lighting = All global lighting assets are placed here. Global_Logic = Flowgraph containers and logic (triggers etc) that are used for the whole level go here. Global_Sound = Any level-wide sounds go here. E.g. Ambient tracks, ambient sound effects for outdoors etc. Most layers require specific settings to comply with the standard working practises of CryEngine. Visible – Does the same thing as the layer hide/show icon. External – This is what generates the .lyr allowing for each layer to be tracked by version control individually. Without this checked, the layer still exists but only as part of the cry file. It is standard practise that ALL layers are external to allow for multiple designers to work on a single level. 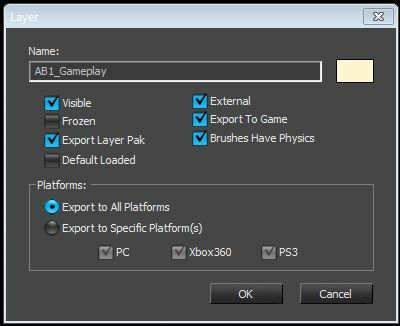 Export To Game – Required if the layer should be exported. Examples of layers that shouldn’t be exported are: Debug layers, layers that contain concept art references, temporary geometry layers. Brushes Have Physics – Brushes within a layer with this disabled will not have physics. This is good for distance background objects to save on performance. All scripting for the level is contained in Flowgraph Containers. While any entity can contain flowgraph, it is standard working practise to ONLY use the FlowgraphEntity as a container to write flowgraph in. It is good working practise to place all flowgraph containers at a point of the map that is easy to remember for good organisation. Remember: Containers are placed within the Logic Layer for their respective action bubble (or the global logic layer for the global flowgraph containers). Each container is prefixed with a corresponding number [Action Bubble][Type]. This allows us to order each action bubble folder in the same manner. ABX_Logic = The parent folder for all Flograph Containers for a specific action bubble. X0_DEBUG_FG – All debug logic for this action bubble is written in this container. 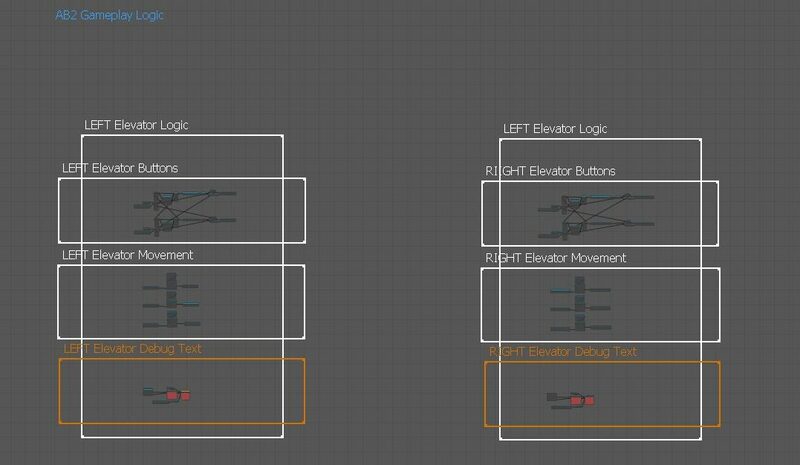 This includes logic to “skip” parts of the level logic for testing, as well as any functions to enable god mode, spawn weapons or vehicles or anything else the designer needs to debug their level. X1_Gameplay_FG – All gameplay logic for this action bubble goes in here. Gameplay logic is any player related script. (E.g. player triggers, health, ammo, weapons, unlocks etc). X2_AI_FG – All AI related flowgraph goes in here. X3_Objectives_FG – All mission objective related flowgraph goes here. This is solely the logic required for the player to accomplish. The actual mission objective nodes will be covered later. X4_Dialogue_FG – All dialogue scripting goes in here. This includes cooperative AI conversations or player choice conversations. X5_Cinematics_FG – All cinematic related logic goes here. E.g. Trackview triggers, animation nodes, cinematic player controllers. Global_Logic = The parent folder for all global flowgraph logic. As well as per action bubble logic, we will require global tracking data for the entire level that is not explusive to a single event or area. 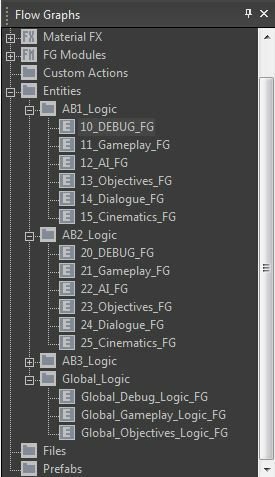 Global_Debug_Logic_FG – Any debug logic that the designer wants to access for the entire duration of the level. E.g. “God mode”, “beam to location”, “toggle gravity”. Global_Gameplay_Logic – Player related data that you want to track for the whole level goes here. E.g. “Player At” systems are a way to detect where the player is in the level, which is useful for optimisation or streaming. Global_Objectives_Logic_FG – This is where the actual MissionObjective data is tracked. It is useful to contain all the actual objectives in a single container to more easily visualise the mission objectives. The conditions which actually trigger the objectives are still contained on a per-action bubble basis within the X3_Objectives_FG container. Flowgraph pages are massive! Due to this fact, there is no reason to squash your flowgraph together. Spreading out your flowgraph nodes makes it easier to read and debug (during debugging, flownodes will grow in size as variables are printed in them, which occasionally leads to overlapping). Make sure nodes are spread out and use comments as often as possible. Tip: Good comments explain WHY you are doing something, not WHAT. An observer can already see WHAT is being done by reading the flowgraph, but the WHY may be ambiguous. Always use comment boxes to organise your scripting and make it easier to read. 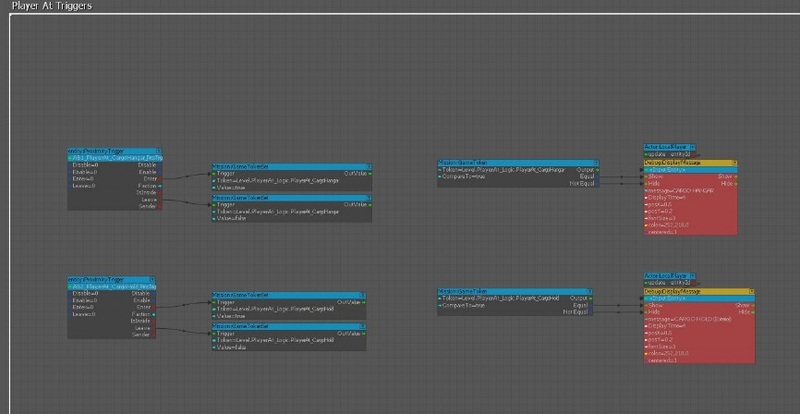 The “fill” option that is on by default just makes flowgraph harder to read. It is best to turn this off unless you have deprecated flowgraph (see below). Try and colour code your comment boxes to make them easier to navigate. Game Tokens allow designers to store variables and pass them between containers. They are incredibly powerful tools that make scripting cleaner and optimised when used correctly. GameTokens should be used to optimise scripts and pass variables between containers. They can be used to store “states” that designers may need to reference throughout the level such as objectives, conversation choices or pickups the player has found. The strongest example of GameToken usage is found in the objectives system. By setting a gametoken to “true” each time an objective is complete, we can then use those same gametokens in all of our containers to trigger new logic. GameTokens can get confusing and mixed up quickly, so it is important to clearly label your tokens and organise them. In this example we can see what the gametoken is being used for based on its convention. It stores the “state” of a switch that controls gravity in the level. The switch is located in the first action bubble, AB1. Gametokens are similar to flowgraph containers in that they should be organised between action bubbles, or in the global variables list. Gametokens can be created in the single level library OR we can create new libraries. It is sometimes cleaner to create a new library for each action bubble instead of piling all your gametokens in a single library (“Level”). Each mission in the campaign will provide a number of objectives for the player. Setting these up requires a MissionObjective entity to be placed at the destination of the objective. This also acts as the in-world marker position for the HUD icon. MissionObjective entities are frequent throughout the level, and must be named properly so they are easy to manage. This tells the developer that the mission objective “Get To The Chopper” is in action bubble 1. It may seem easier to NUMBER mission objectives, however this is not good for iterative design. When you need to add a new objective in between Mission 1 and Mission 2, you throw off your whole system For that reason, using unique names is better, and more explanatory. This stores a coordinate in the tags.xml file attached to the level. You can press SHIFT+ the corresponding F key to jump to that coordinate at any time in the editor. It will be necessary for every level to have a fast debug jump through the level. This must be set up by the designer so that pressing F2 (spawn) will jump the player character to the next objective and cleanly complete all the previous logic. Since the logic for each level is unique, it will be down to the designer to set this up on a per-level basis. This entry was posted in Uncategorized on May 17, 2018 by whipwrek. I thought it was finally time to write up a quick blog post summarizing the amazing response #Blocktober received last October. Hopefully this also serves as a nice way to remind people to start collecting up stuff they want to share this year! We got some awesome coverage of the work on display from news sites and it spawned a lot of discussion on level design forums like MapCore. Personally, I loved seeing everyones work whether it was professional or personal, recent or past, veteran or hobbyist. It was all really inspiring and I hope the exposure helped everyone improve their skills and maybe grow a bit more appreciation for the art of level design. After talking with many developers it seemed that getting exposure on the working practices of level designers was hard to come by. There is such a broad spectrum of what is considered “level design” and every studio has a different way of operating, but if Blocktober showed me anything it’s that the core fundamentals of what is expected from level designers seems to be consistent. That being, that while blockouts form much of the basis of our output, level designers are also expected to be the glue between all departments in a studio (if you’re a one person team you are also the glue between you and…you). 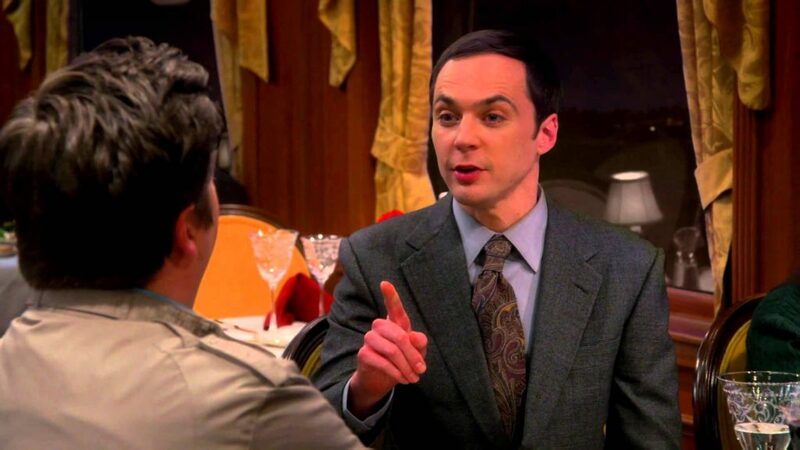 Someone recently described level designers to me as the stewards of the game. When you own a level, no matter how it is represented, you don’t just own the geometry but you have to consider every single element that goes into it. While Blocktober was able to showcase the enormous talent of level designers and their ability to create spaces, the elements we see in screenshots only show a small portion of the discipline. This is why I think it’s so important to gain visibility on work that isn’t just of artistic merit, but also displays clear intent and function for a huge range of games. The level of skill on display in the work people shared with this daft wee hashtag was phenomenal and they showed that it takes a great amount of experience to be able to focus on the elements that are truly important to your game while also creating spaces that covey your intent. This is also why I enjoyed seeing blockouts for past works. I know there was some expectation that people should tackle #Blocktober like #Inktober (by attempting a blockout a day (I tried myself, it’s tough!)) but I think what we gained from seeing blockouts of works we have experience playing is of enormous value. 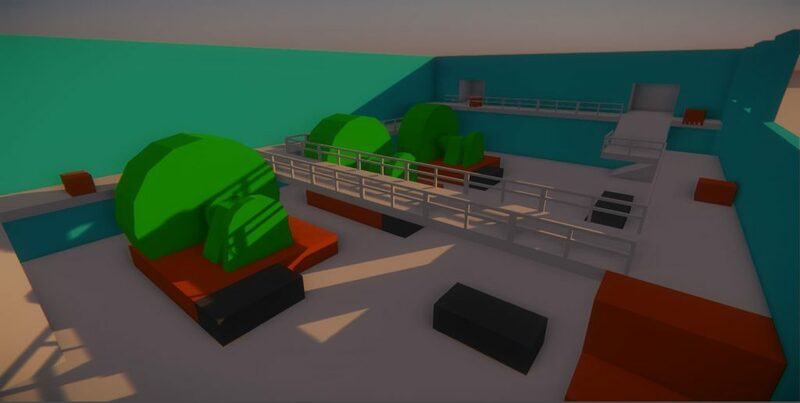 As I said, the artistic side of blockouts is only a small part of the whole picture and so being able to see early blockouts for games like DmC, Gears of War 4, Titanfall, Deepest Ocean, Q.U.B.E. 2 and everything in between, knowing how they feel to play, is a fantastic source of knowledge. The response to Blocktober was immense and I’ve had the enormous privilege of seeing level designers light up when discussing it and looking forward to it continuing. Thanks to everyone who contributed and made that possible, it’s truly amazing and I hope people engage with it again this year. Originally I was going to do a “my favourite posts” blog, but I think there were too many to be able to do that. So instead I’ll just sign off by saying remember to follow @BlocktoberLD for all the #Blocktober tagged goods and get prepping for October 2018! This entry was posted in Uncategorized on April 7, 2018 by whipwrek. Much like community initiatives like #Inktober the goal is to improve your skills and share images of your level blockouts. This is a stage of level design that few people get to see and it would be great to get more people aware of what goes in to level building, warts and all! This entry was posted in Uncategorized on October 2, 2017 by whipwrek. The GDC talk I did with Sam Howels and Pete Ellis is up on the GDC vault for those of you with access. Enjoy! This entry was posted in Level Design, Talks on August 25, 2016 by whipwrek. Unfortunately I managed to completely miss posting any content in July, but for a very good reason. I have been busy putting together my talk for this years GDC event in Cologne! 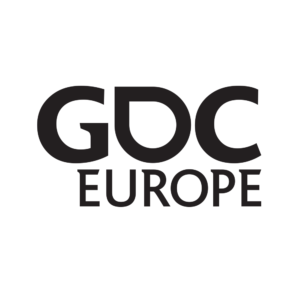 I will be giving a talk titled: Creating Conflict: Combat Design for AAA Action Games along with two very talented designers: Pete Ellis from Guerrilla Games and Sam Howels from Deep Silver’s Dambusters Studios. You can catch the talk at 2:30pm on Monday the 15th of August at the GDC event (or later on the vault). Hopefully I’ll have more content for the blog soon! Pass Type: All Access Pass, Student Pass – Get your pass now! This entry was posted in Uncategorized on August 7, 2016 by whipwrek. 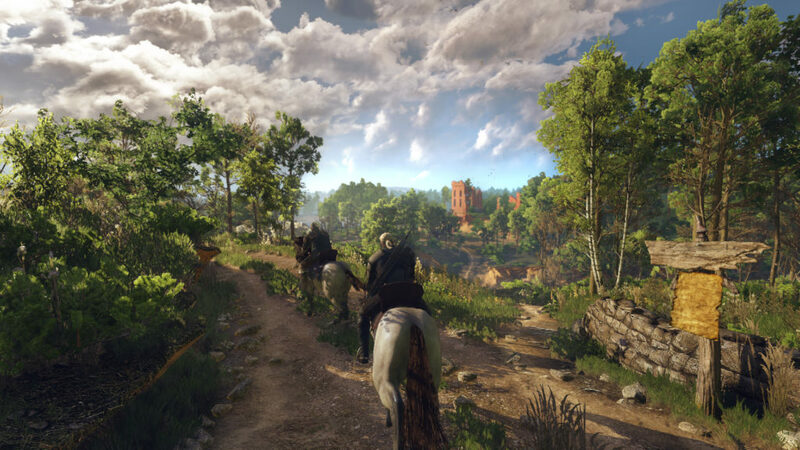 I finally have managed to find the appropriate amount of time to get stuck in to The Witcher 3. While I have managed to rattle through Dragon Age: Inquisition, clocking in an obscene amount of hours, I found I couldn’t get any momentum with The Witcher. With RPGs of such immensity, when you don’t get any flow you will put it down one afternoon and not revisit it for weeks. I bought in early but found its control scheme wasn’t to my liking. It reminded me of trying to navigate through doors in Red Dead Redemption, clunky and unresponsive. I don’t have some kind of deep rooted aversion to floaty controls but I found it quite frustrating. I also found I would constantly snag on the (albeit beautiful) scenery and watch Geralt start-stop-start-stop before getting a run on again. This was particularly bad while riding his horse (Roach). I’d heard a patch introduced a new control scheme and tried again. Using mouse and keyboard I still found it a bit of a chore to control, but then I switched entirely to gamepad. I’m thoroughly enjoying the design of the overworld. I am a “Hooverer” in RPGS, by which I mean I try and hoover all content in an area before moving on to the next. Something I loved in Skyrim was the gentle encouragement to stray from the critical path by small quests, distant landmarks and the sound of dragons. The world of The Witcher is so beautifully crafted that i am finding it just as exciting to wander off to side-quests and events as it is to complete the expertly written story missions. This helps give rise to the best kind of game stories. Just as you are fulfilling the main objectives laid out by the game, an intriguing event pulls you off to one side. “I’ll just check this out then get back to it” you think. Suddenly, hours later, you’ve gone off on a completely separate adventure that seems to have sprouted organically amoungst the scripted paths the developers laid out. Also, I’ve been complimenting my dive into The Witcher with a great fantasy novel I highly recommend: Patrick Rothfuss’ The Kingkiller Chronicle: The Name of the Wind. This entry was posted in Uncategorized on June 26, 2016 by whipwrek. Too “blue”, throw it out, start again. My level creation process is something that is constantly being adapted and tweaked. I wanted to jot down the process I tend to use when building a new level from scratch, and this process is usually the same if it’s in a professional or personal pursuit. For the purposes of this blog, I’ll be using an example of a single player environment in a story driven action game. A few things change between third and first person, but not so much as the below process needs to be completely reconsidered. Where is the level set? E.g. 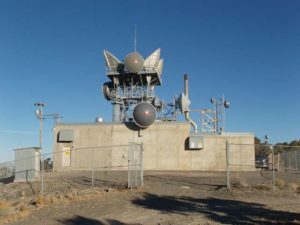 A comms station in the Franklin Mountains, El Paso, Texas. Otherwise known as the “razor”. What is this level all about? What are the players primary objectives and goals? E.g. 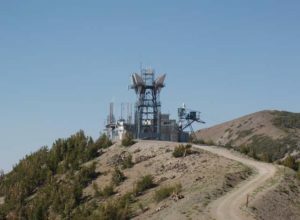 Reach the comms tower and start the signal. How does the theme affect the gameplay? Is it a chaotic level or quiet? What’s the expected tempo? E.g. Urgent dash to the comms tower battling heavy resistance. What mechanics are introduced to the player in this level? What non-standard gameplay sections are included in this level? E.g. Battling an enemy chopper at the top of the mountain. We can do more with less sometimes, and we don’t want to be too prescribed early on but the above list is something that should take the smallest amount of time (usually most of it is already handed down by a senior team of directors, writers and designers). Another caveat, hopefully you’re doing this with an already banked “vertical slice” or core experience ready. It can be incredibly difficult to develop a level while you’re also developing the mechanics of the game. Constant changes to your core flow will require retroactively adapting levels being built concurrently with a “vertical slice”. With this knowledge in mind we can move to the next step. Not a huge amount of time spent here either but grabbing concepts and images of locations to help guide the tone/architecture of your level can help massively. If you’re building something in a real-world location (remember, you need permission to use some landmarks/buildings in a product!) then google images/maps is your best friend. I like to base some parts of levels off of actual locations I have visited or artwork I have enjoyed. Get yourself to a gallery or go exploring with a camera sometimes instead of playing a game for inspiration, it will improve your work dramatically! You may have noticed I skipped 2D sketch. What I’ve found is that years of blocking out levels in 3D packages has made me much more proficient at quickly modelling a level than trying to draw it on paper. I don’t always skip 2D but I’d say for 90% of my levels I just jump straight into blockout phase. With the portfolio of games I’ve worked on as well, verticality has been a large factor in the spaces I build. 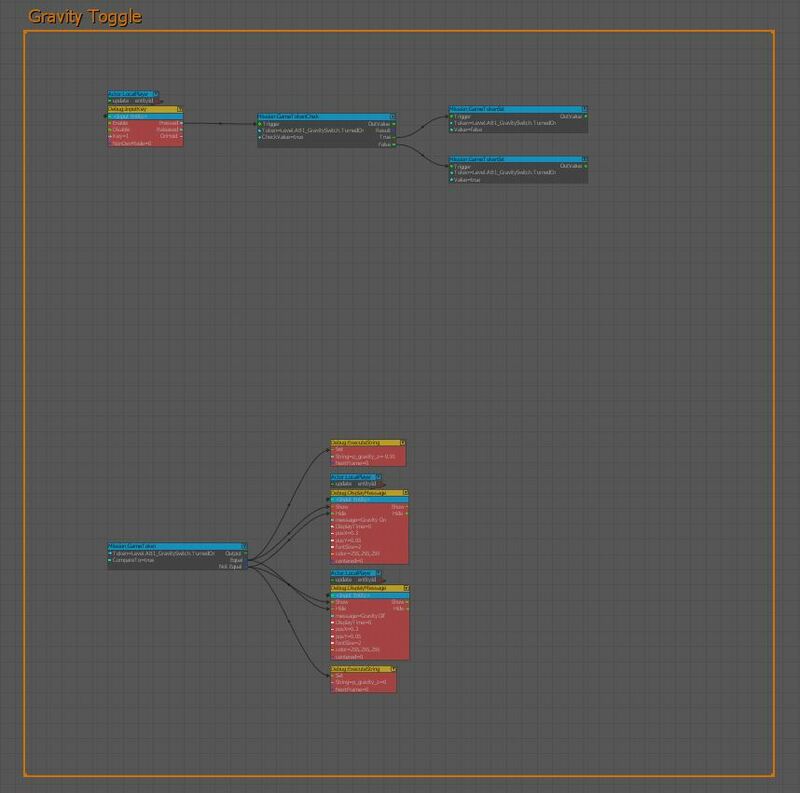 It’s just far more efficient to express these ideas in a 3D blockout than on paper. Also, the fact that you spend all your time for the rest of the project working in 3D, you might as well start getting good at blocking out a concept of acceptable quality, quickly. In a professional environment, at all stages of the above steps, key stakeholders will be involved ranging from environment art and production to narrative and design. I like to pitch ideas to members of the team and begin collaborating as early as possible to find awesome ideas. The best ideas can come from anywhere in the team, so collaboration is an integral part to level creation in a studio. After the blockout phase, at least on the last project I worked on, we pass blockouts to concept artists for any areas we feel will help assist the environment artists who ultimately model the level. 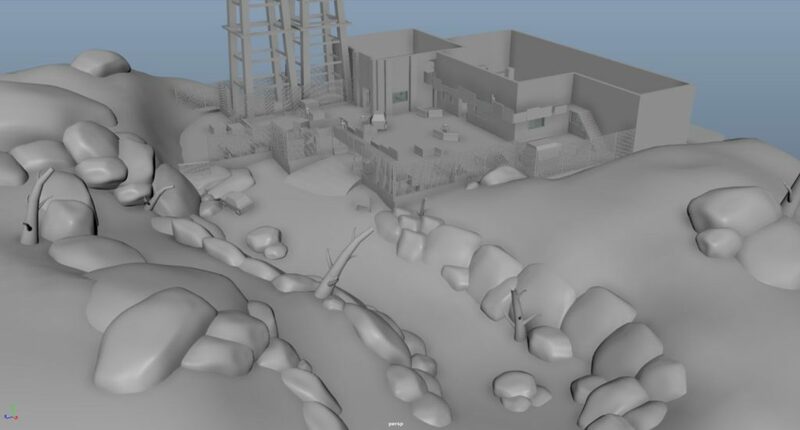 It has also been common for environment artists to step in early, during blockout phases, so we can tweak areas early and get compositions, transitions and structures believable and correct. The blockout phase is THE time to adjust the level. 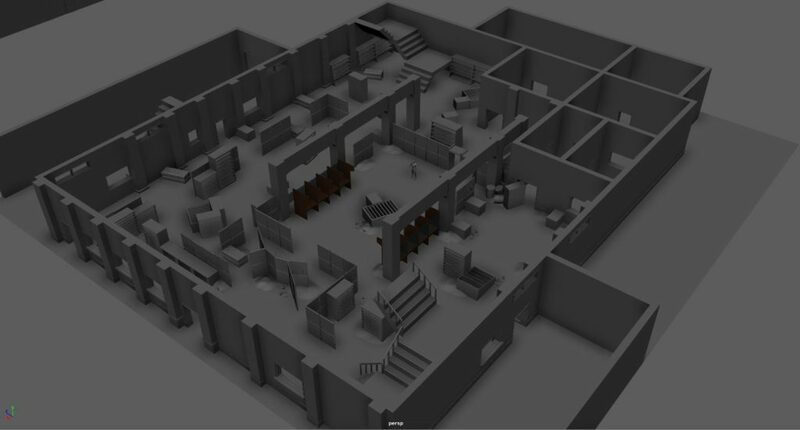 I have never shipped a level that looked exactly the same as the first blockout. During this phase I will be testing, tweaking and throwing out huge chunks of space. That’s why this phase exists! The best bit of advice that was ever given to me regarding blockouts was “if you feel like you’ve done so much work that it would pain you to throw it all away, then you’ve gone too far“. Keep your blockouts light, a good lead or director will see past the untextured, rough shapes and see the ideas that need to be evaluated. (The space still needs to make sense however! Don’t take that as an excuse to become contrived). I’ve traditionally worked with two “blockout” phases. The first I’ve actually called “whitebox”, which is to evaluate the size and scale of volumes, objects and get some early composition, framing and high level beats. This is made out of mostly primitive shapes and can give a good indication of where the level is heading. After only a couple of iterations it can look close to the image above. As a level designer, I start to lock down areas I think work over the course of several weeks and iterate, iterate, iterate. Throwing away bad ideas, keeping new ones. The next phase, known as greybox, is when we, the team, decide the level is sound from a design standpoint and can begin a more thorough art pass. My role here becomes more producer focused, while still building and testing gameplay. It’s important to ensure the key design ideas don’t get “lost in translation” as the level becomes more fully formed. Greybox is harder to tweak and iterate, so we’d prefer to be in a place of confidence when this phase begins (but honestly it doesn’t always work that way). Changes can still be made in this stage, but they need to be meaningful and for the good of the game. This almost makes it sound too easy, but ideally after greybox we start to harden the level and bring it to final. Not all levels are brought to final at the same time, but at this stage it’s all about the polish. I’d love to say they’re all made this way, but the reality is with conventions, demos, publisher demos, reviews, tutorials and more it’s usually a bit more “seat of your pants” than effortless execution. The best games I’ve worked on were developed by passionate staff who did everything they could for the good of the game and that means juggling the sometimes hectic schedule of level creation. Hopefully in the end it’s worth it (it almost always is). This entry was posted in Level Design on May 30, 2016 by whipwrek. I really like trains. Not in a parka-wearing, notebook-wielding kind of way, but in a “this is the best way to travel, specifically if I have to travel between Dundee and Manchester” kind of way. You see some excellent scenery and fascinating people. I once sat adjacent to a gentleman on a train travelling from Stockport to Edinburgh who had booked a table seat so he could watch Rab C. Nesbitt VHS taps on the Combo-TV/VCR he had brought with him. Even the tinny sounds of Gregor Fisher bellowing through the carriage couldn’t dampen my mood on a train. It helps that the UK countryside is a marvelous source of inspiration, if you get a chance to actually see it through the rain and fog and trips to the small kiosk next to the toilets for a £5 bag of crisps. 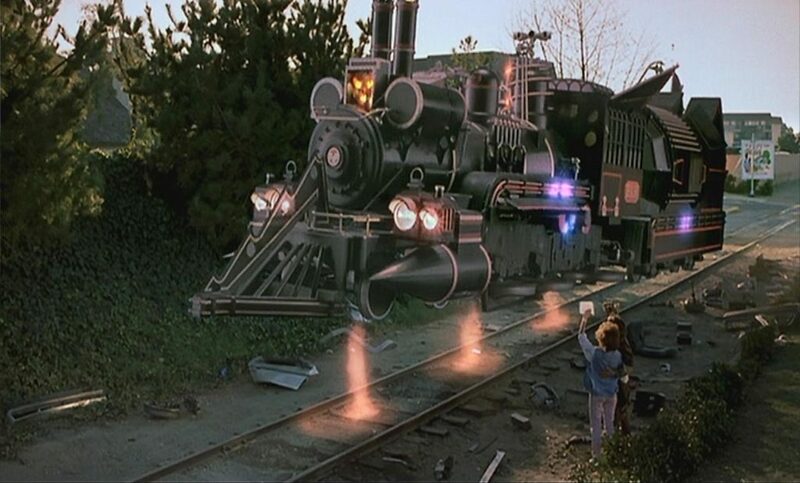 Clearly level designers love trains as well, because they just keep showing up in games! And when they do, a twinge of excitement usually follows from yours-truly. To that end here’s a list of my favorite train-based levels and some designery notes about them to keep it all above board and pretend I didn’t just want list some levels with trains in them like an absolute nerdling. I just hope I can get to the end of the list without running out of STEAM! Steam, like a steam train. Choo choo! Right lets get this out the way because it’s the first thing people think of now when they think about train levels, which, if you’re like me, is at least twice a day. This level floored me when I first played it and it set the (level crossing) bar for all future locomotive-based adventures. 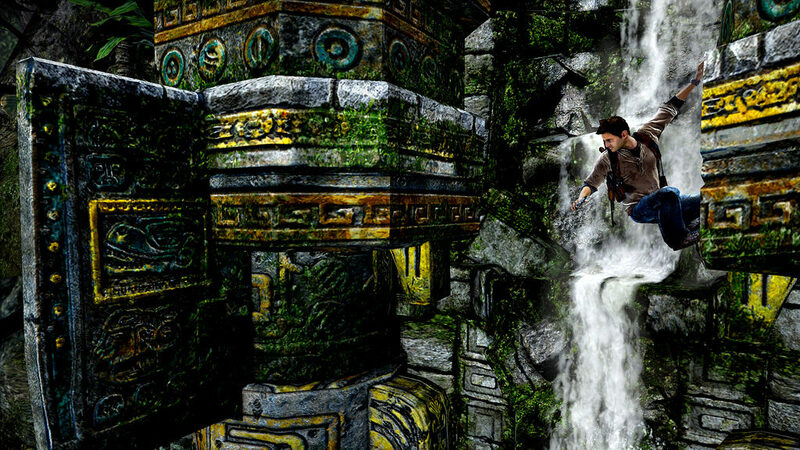 Naughty Dog described this level as a “fully traversable set-piece” and had to develop new technology (the Dynamic Object Traversal System) to pull it off. 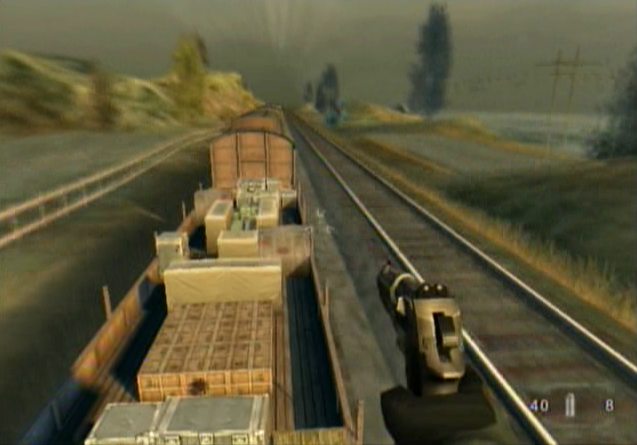 They essentially produced a level within a level, where the player is traversing across a train as it speeds through the Nepalese mountains. Like all the best levels, the result is a an experience that holistically fuses everything exciting about video-games: technology, story, agency and to top it all off it was beautiful to look at. This level is not just a cool set piece but it is a great example, probably the clearest example, of Naughty Dogs design sensibilities (at least, at the time). The physical space the train inhabits represents a linear timeline of progression and pacing which we can observe when considering the layout of the vehicle alone. What the movement of the vehicle brings to the level, beyond simply looking and feeling epic, is that the “fall to death” areas (that are usually vast distances in the rest of the game) are now much shorter (falling off the train kills you). The result is a level that pushes the player to utilize Drake’s traversal set to progress over a tighter area, with hazards that can actually kill the player. This pushes the tension of the level up incredibly high. To add to that, the technology allows the train to bend and sway, moving the jump destinations around, making progress feel tense and dangerous. I’m a bit biased here because of my history working at Crytek on the Crysis games, but this level, designed by Zoltán Katona, is just the ticket. Much like the Uncharted 2 example above, the scenario leverages the best principles of the game it lives in. In the case of Crysis, that comes in the form of nanosuit abilities such as super-jumping and super speed as well as the sandbox level design philosophy Crysis is famous for. The player can board and disembark the train whenever they want using the super-jump, they can run off to get up close and personal with enemies in the distance then use super speed to catch up with the train again and they can utilize many of the sandbox options Crysis offers. 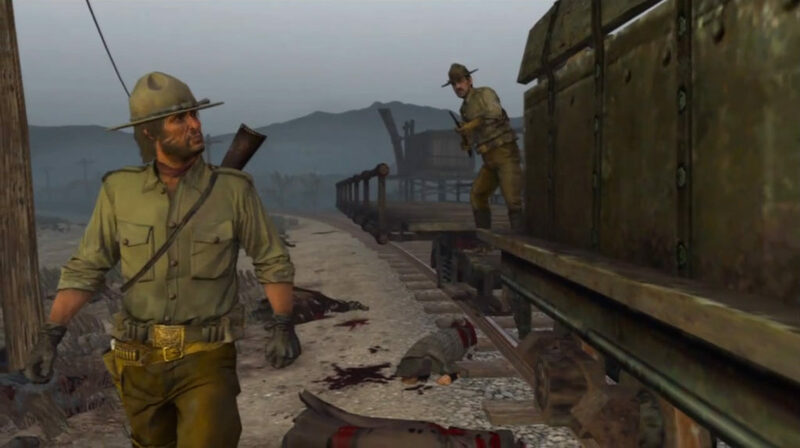 For example, the train is armed to the teeth with mounted weapons and, again like Uncharted, physically moves through the game world. The result is a moving unit of destruction with the player as the conductor. A real joy to play. 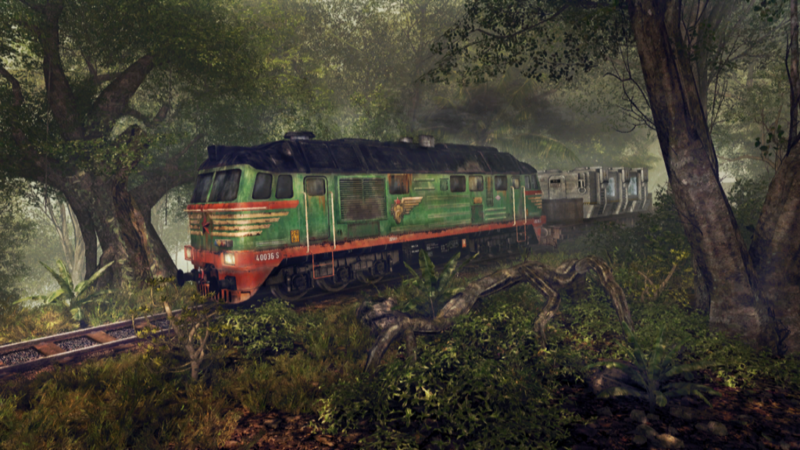 Like Crysis: Warhead, you’re escorting the train through the wilderness fighting off enemies. Unlike Crysis, however, those enemies are zombies and they arrive in hordes! 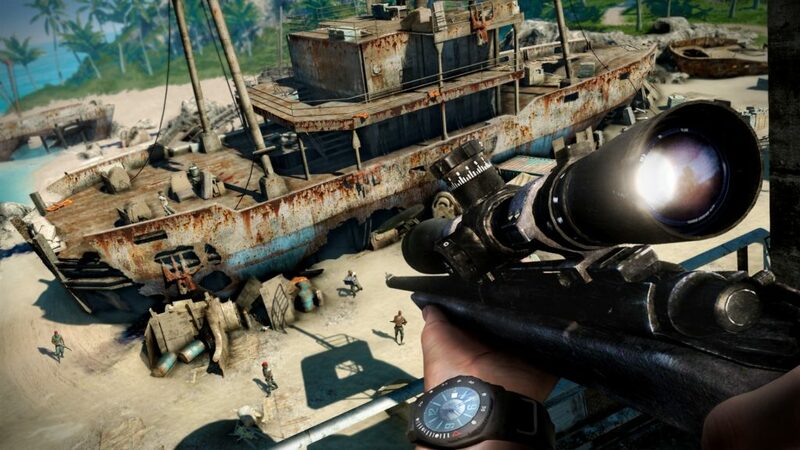 This insane mashup is just a brilliant slice of fun that really utilizes Rockstars open world systems, great arsenal of western weaponry and plain fun mission design. While you can jump on and off moving locomotives in the open world at any time, this mission makes it the focus and keeps you engaged. More bias, there’s a reason I wanted to work for Free Radical and that was down to the awesome TimeSplitters series. Future Perfect is often overlooked due to the milestone achievement that was Timesplitters 2, but my memories of the third installment are just as fond, late nights playing split screen on the Gamecube with friends. Oh yeah and Future Perfect HAS A TRAIN LEVEL which makes it THE BEST TIMESPLITTERS, END-OF. This level excels in continually keeping up the excitement. It starts off with some stealth, moves into tight corridor shooting, out into the open for some frantic action and follows with multiple setpieces including a chopper, wormholes, a SECOND train, puzzles and a jetpack flying boss fight. The levels tempo is set by the great music track which follows the action brilliantly. This level also includes the remote control cat “Strudel”, which is worth mentioning just for sheer novelty alone. On paper, there’s nothing that a train brings to Gears of War other than sheer novelty. In practice, it just works. The momentum of the rhody run coupled with a level that is itself charging through the environment adds a satisfying level of empowerment to the already JUICED Gears of War protagonists. 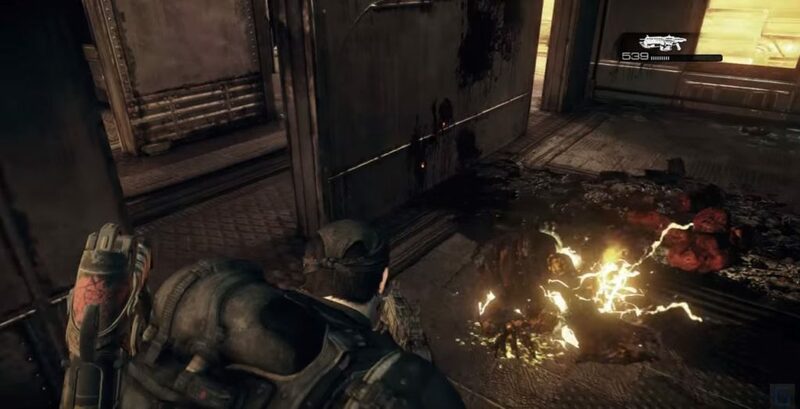 At first it seems like standard Gears of War fare, cover shooting as you make your way up the train carriages. And suddenly it becomes clear why the level designer put you on a train. This is a brilliant example of how Epic took the established mechanics of the Berserker boss fight and married them up with an environment that enhances the tension of the encounter. Ultimately it’s a simple one, but it’s a great twist to kick off the level. The mechanics of Gears work wonderfully on all sections of the level. The trope of the chopper enemy is replaced with the, suitably Gears, “Reaver”. These come in waves and add an element of verticality to the action. After some open-air shooting the level progresses into the tight corridors of the carriages. Here the level designer chooses to throw lambent at the player, enemies that are very dangerous in close quarters. The mechanics of Gears put to great use once again. 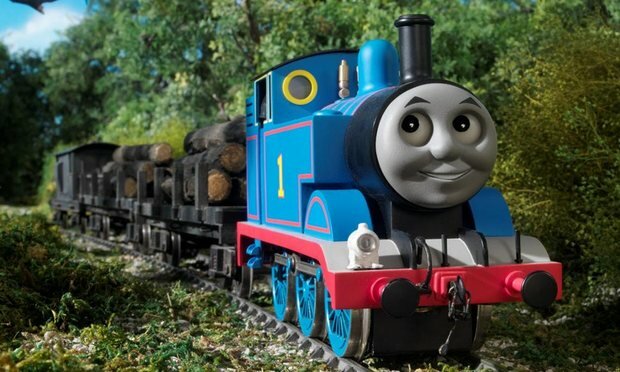 Suddenly the momentum from earlier is put into question as the player cautiously approaches new carriages and unseen corners in a tight space such as a train this raises the tension even higher. Special mention here to ending the game ON the train with the final boss fight. If you thought it was odd that the Berserker was thrown at the player at the start of the level, this is why. The boss uses all the previous mechanics of the level, so it turns out the level was a great way to make sure the player had a paced progression through the core features that would make up the finale. Something inherent in all the levels mentioned that permeates through each experience is the concept of a “destination”. The idea that all this momentum is destined to end, one way or another, creates a sense of urgency in these levels. It adds a concept of a timer to the players experience often without literally showing a countdown. I believe this diegetic form of a timer – the physical passing of the environment – is an incredibly strong and implicit way to raise the tension in a game and can be used for a spike in pacing and tempo. It also helps that trains are awesome. An honorable mention at the end here for Resistance 3 – The Train to New York. This level uniquely utilizes the concept of a hold out and a moving level to create fantastic set pieces. Backtracking to defend different sections of the train and the deterioration of cover keep it feeling fast, frantic and fun. This entry was posted in Uncategorized on May 18, 2016 by whipwrek. I’ve been constantly updating and tweaking this “bible” for years. Some of it is informed from previous games I worked on, talks, articles but mostly just experience building levels. I’m constantly learning about the world of level design, and what is detailed below may one day be outdated, irrelevant or otherwise but, for now, consider this a small compendium of terminology we use day-to-day in level design and game development. Themes help define a level and give it an identity within the context of the game. A level should be comprised of a dominant theme which drives its development but may contain several sub-themes within the environment to help define key locations or events. The dominant theme is the key element driving the player’s emotional investment in the level. It helps inform all elements of a level from environment and atmosphere to game mechanics and audio. A great theme can be described in a single sentence e.g. “Oh that level with the exploding planet!”, “The level with the Scorpion boss fight!” etc. 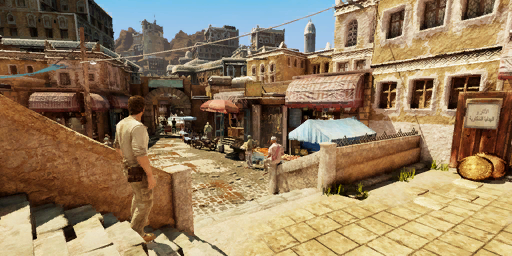 In Uncharted 2, “Mission 16 – Where Am I?” is often referred to as “The village level”. In this case, the unique experience is that you spend a lot of time stuck in a Tibetan village, slowly walking around interacting with civilians. 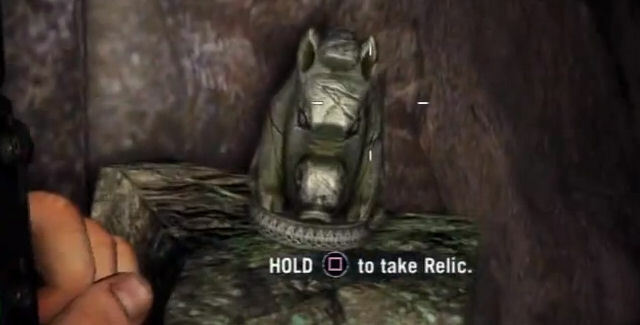 In an action game like Uncharted 2, this really stuck out and became a memorable experience. I want the player to feel like a hero! I want the player to feel anxious and tense. I want the player to feel terrified! I want the player to feel clever. While dominant themes are used to define entire levels, sub-themes are used to define areas and events within the individual levels themselves. In multiplayer levels, sub-themes are used to define key areas of the level and create spacial-awareness for players. E.g. “I’m in the refinery”, “The enemy is in the lightning nebula”. By defining each space uniquely, players can derive a better understanding of the level more quickly. While sub-themes can be reused across levels, a poor dominant theme is exemplified by levels that can share the same description e.g. “The space level”. In a space-sim like Star Citizen for example, this is not a good use of theming. It’s perfectly acceptable for ten levels to all be set in space, but they must each have another unique theme that separates them from one another. Narrative driven games all exhibit some sense of pacing. The goal for teams developing narrative games is to ensure that that pacing “graph” is understood and utilised to effectively hold the players attention, accentuate moods and deliver engaging experiences. A basic example of pacing might be: an exciting, action packed sequence such as a vehicle chase being followed by some downtime, such as a puzzle or exploration sequence, before ramping up into a combat sequence. The two “high tempo” moments (chase and combat) are emphasised thanks to the “low tempo” break in between them. In single player levels, themes are used to help craft the sense of pacing. If your chapter ends with a massive, exciting boss fight, you might want to start the chapter slowly. Tight, narrow corridors and claustrophobic environments would help deliver that slow experience, and would really contrast against the exciting battle at the end, emphasising the action. Levels should be set up to allow the player to quickly orient themselves within the environment. This can be achieved through signposting, which involves setting up structures around the level that act as landmarks for the player. In multiplayer levels signposting is crucial, as players will want to learn layouts as quickly as possible so they can focus fully on fighting other players without worrying about getting lost or confused. It also improves communication between players when they have points of reference to describe to one another. In single player levels, the player’s next goal or destination should be signposted to help guide the player. It should be visible enough to reduce frustration but shouldn’t remove the sense of exploration and challenge. If the player is challenged with uncovering the route, then the steps to achieve this can be signposted through lighting, audio or clever game mechanics. “Show Don’t Tell”: This concept should apply to any challenge placed before the player, including exploration. The player should always be aware of their current objective and have an understanding of what they need to achieve, but the steps involved in achieving it are theirs to discover. We help the player to solve these challenges through aids such as signposting. By placing unique structures at key locations around a level we can introduce a basic concept of “signposting”. “Weenies” are distant landmarks that indicate the direction and composition of a goal. The term was coined by engineers working on Walt Disney World, and was used to refer to buildings that stand above all the others and draw the eye of visitors, enticing them to new areas of the park. “Denial spaces” are an architectural concept where the distant goal or “weenie” is lost to the player or obscured. These make reaching the goal more rewarding and the route there more interesting. “Hero Props” are the key structures within a level and can often also be “Weenies”. These usually involve the most work to get right from both art and design. A “Hero Prop” is typically budgeted higher than other structures in a level. Examples include the Mammoth vehicle in Halo 4’s “Reclaimer” mission or the dam generator in Crysis 3’s “Dam” level. Other points of interest in a level can even be developed solely through unique use of lighting and audio. Use these to draw the player’s attention by combining them with scene composition to indicate waypoints and goals. Changing the lighting and atmosphere of a familiar area can also make it distinct and unique within a level, which helps asset reuse and budgets. Level boundaries are split into two types: Hard Boundaries and Soft Boundaries. Hard Boundaries are physical walls or obstructions that prevent the player from leaving the level. They are easier to understand from a player’s perspective but they add to a levels sense of confinement and restrictiveness. Soft Boundaries are traditionally found in open levels such as in space-sims or multiplayer levels in games such “Battlefield”. When the player steps over an invisible boundary they are presented with a message informing them to return to the playable area. Vistas are observation points in a level that give the player a sprawling view of an interesting landscape. These landscapes can be inside or outside the playable area. A vista that looks out across a playable area may help the player see gameplay opportunities, story events or objectives. These are empowering moments for players and allow them the opportunity to obtain foresight of new encounters and develop tactical strategies ahead of time. They can also be considered “vantage” points. Playable area vistas should also show the player multiple route options through a space while also hiding areas you want the player to uncover and explore. Vistas within the gameplay space can also be used to compose moments of narrative storytelling for the player to observe without having to force the player camera out of the player’s control. Vistas that look out to non-playable space are usually intended to create a spectacular moment or “wow” moment within a level. These can be utilised to enhance moments of “downtime” within a level. A vista that looks out to non-playable areas can also give levels a sense of scale and openness while keeping the actual playable area quite restricted. We can enhance the players understanding of an environment by developing a clear visual language that is consistent across our levels. This will assist players in understanding such things as; what areas of a level they can access? What objects can they interact with? etc. Readable environments are ideally devoid of clutter and have reduced visual noise. That is not to say they are not complex or interesting, but they should present gameplay opportunities and routes clearly without frustrating the player. 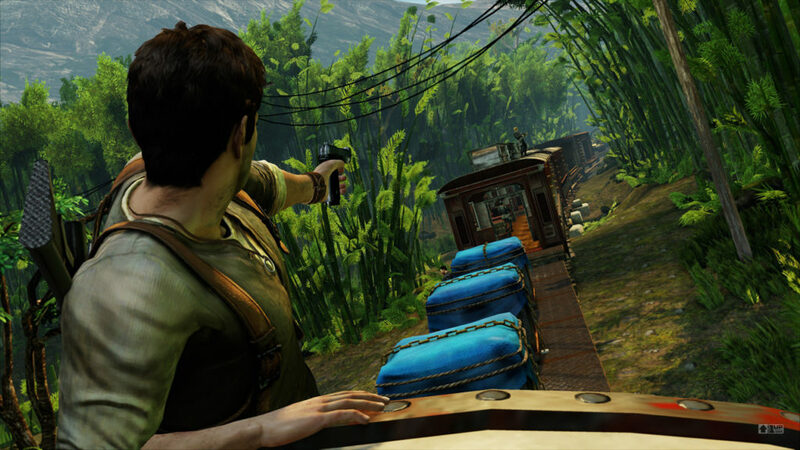 Consistent environment rules such as attributing a specific light colour for “usable” equipment (blue LED’s or illuminated monitor screens) and colour coding environmental mechanics (red barrels = explosive barrels or yellow = climbable ledges in Uncharted) can give the player familiar elements to help them more quickly understand any new environments. Some environmental features will have components that may cover even larger areas of the level. These can be used to guide the player toward an object or event. Examples include wires leading to a generator, literal signs that warn of dangers such as mines or narrative elements that foreshadow a specific environment. Games such as The Last of Us have good usage of foreshadowing in environments. Usually you are given a hint of what’s in store later in the level by finding survivor notes or environmental storytelling early on. Wow moments/set pieces are a kind of in game cinematic. They are any take-away moments of spectacle that happen in a level and should literally leave the player thinking (or shouting!) “wow!”. 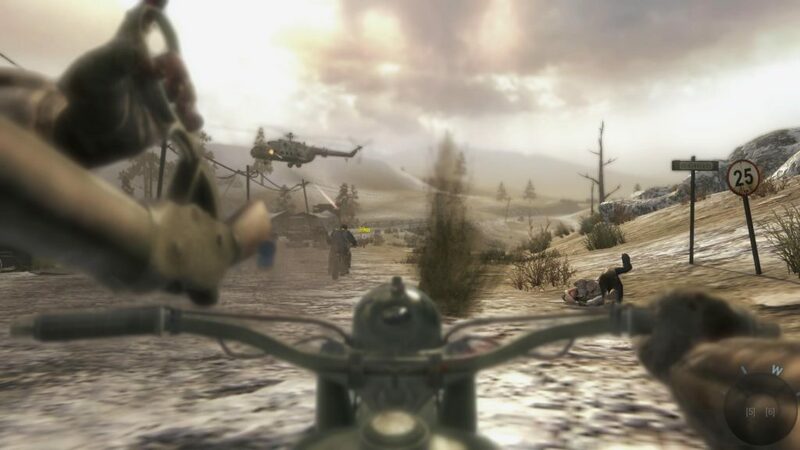 Some “wow moments” can be completely player generated (see Battlefield MP), however most often these will be scripted sequences developed for a particular level. They are infrequent in order to preserve their impact as well as the fact that they are usually expensive to create. Within the context of level design, gates are methods by which a designer controls the linear progression through what would seem to the player to be non-linear worlds. Hard Gates are used to halt the player from progressing any further until they complete an objective or similar criteria. A classic example of a gate in a level is the “keycard” which is required to open a sealed door. Soft Gates are similar in principal to standard Gates, except they can be completed at any time and only serve to slow the player down. A Soft Gate will slow the players progress down through a map, but the criteria to bypass it is not particularly challenging. Examples of soft gating might be a corridor blocked by steam escaping from a pipe, with a valve nearby to turn it off. The gate has succeeded in preventing the player from charging ahead but the means by which they bypass the gate are simple, if not time consuming. Objectives should be immediately obvious to a player in terms of what they must accomplish. Trial and error should be kept to a minimum. If a player has a solution that makes sense to them, the game should accommodate it. How to accomplish an objective is for the player to discover, however hints and signposting of objectives will be crucial to resolve frustration. Players should be rewarded frequently with items, story snippets, currency or even a new vista to observe. This is crucial feedback to keep the player feeling invested in a level. A compulsion loop is a process whereby the player is rewarded for completing a task and wishes to repeat the action for a similar reward. Repeating the action several times accumulates several rewards, which can be used to accomplish an even tougher task. Each “compulsion loop” can feed another in this way, generating minute-to-minute and hour-to-hour goals. Players can set the scope of their goal for differing play sessions this way. Levels should accommodate immediate goals for players as well as long term goals. The term “arena” refers to a specific area within a level where the player will encounter some kind of challenge, event or obstacle. Arenas are non-linear spaces, meaning they offer players multiple options in combat and opportunities to explore the environment. They can also include sandbox elements that allow players to formulate unique, tactical opportunities and multiple ways to complete objectives. Arenas can be quite large but have well-defined perimeter borders. Players should always have a decent sense of the scope of the arena upon entering it, even if some parts are obscured from sight. Arenas are generally pro-active gameplay spaces. The player will have an opportunity to choose when to enter combat and can dictate the pacing and flow more than a reactive space. A “front” is generally a location in a level where an individual or group of faction members establish a foothold. Usually this is in direct defense of the players primary goal, but it is advisable to change up the fronts of battle (or battlefronts!) during a combat sequence to keep the encounter fresh and keep the player moving. 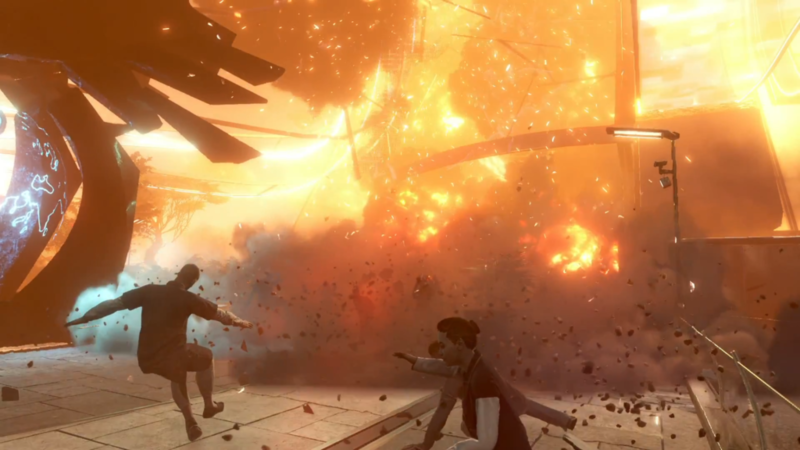 A “Directed Sequence” is a linear space that usually includes a moment of scripted gameplay that the player must engage in. These can include set pieces, forced combat encounters, cinematics or on-rails sections. Directed Sequences are reactive and can be used to control the pacing and flow of key moments in the campaign more tightly than arenas. Exotic Gameplay describes any sequence of gameplay that is not part of the core mechanics set. These might be sections developed exclusively for a single level or section of a level. 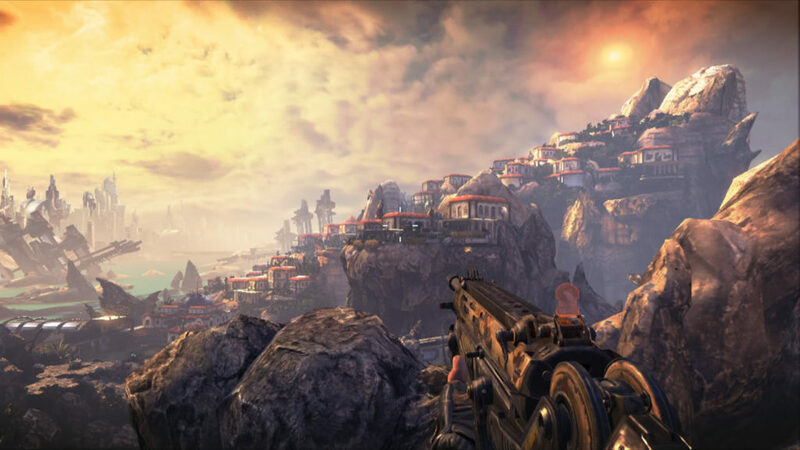 Exotic Gameplay can provide an immersive, cinematic setpiece to the player within a controlled environment that does not hamper or imbalance existing core gameplay mechanics. Sometimes even splitting a single corridor in two can give a space the illusion of non-linearity. Simple decisions such as this keep the player engaged with the level and exploring new options. Arenas are not restricted to a single plane and vertical routes can be used to gain strategic advantages in combat. These routes are empowering and keep the play space interesting and dynamic, but can also introduce imbalance to an encounter quickly. If a level features a vertical route, AI should be able to reach any area the player can reach. Even slight variations in terrain height can keep a level interesting. Any pathways leading to higher sections must be readable however, as multi-tier levels can quickly become noisy. 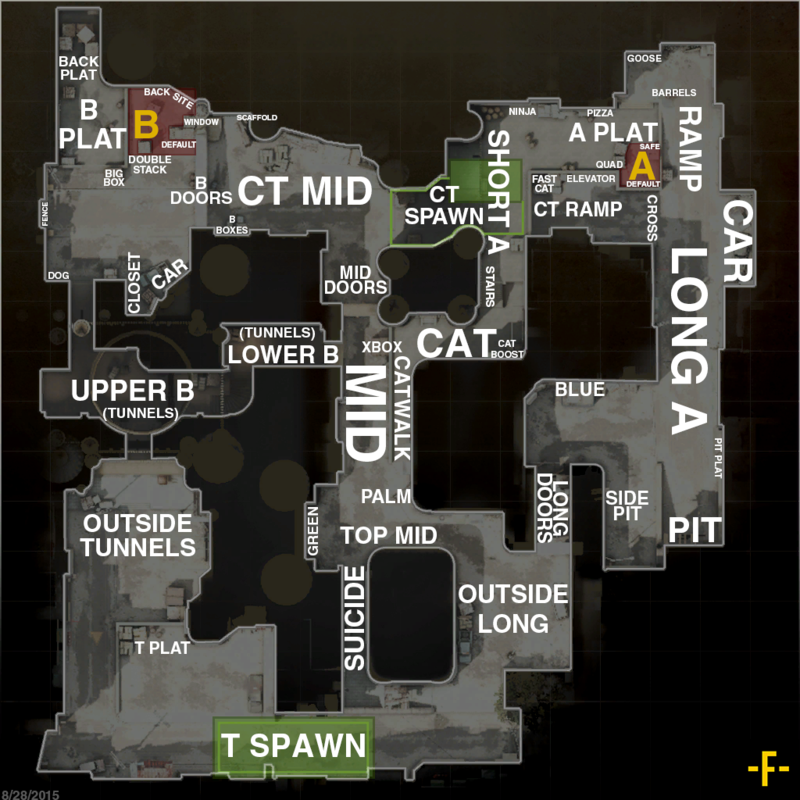 Vantage Points are elevated locations in an arena that give players key, tactical advantages by providing an overview of the area. 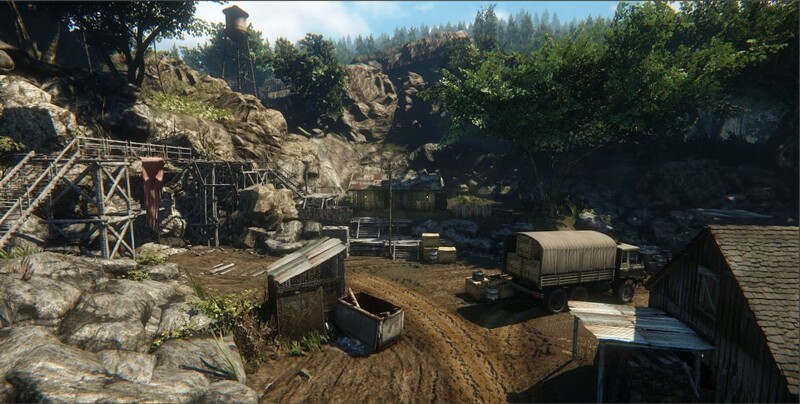 Overview – The player can get a good initial idea of the arena, its scope and its contents. 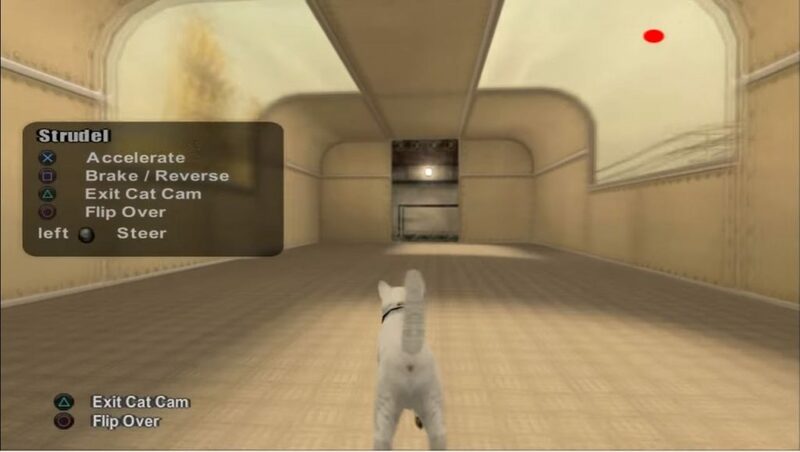 Observe – The player can see any AI in the scene doing something. (Patrolling, talking, working). They can also see their objective. (The next doorway, the switch, the kill target, the kill targets room etc). Also observable are sandbox elements the player can harness within the arena. 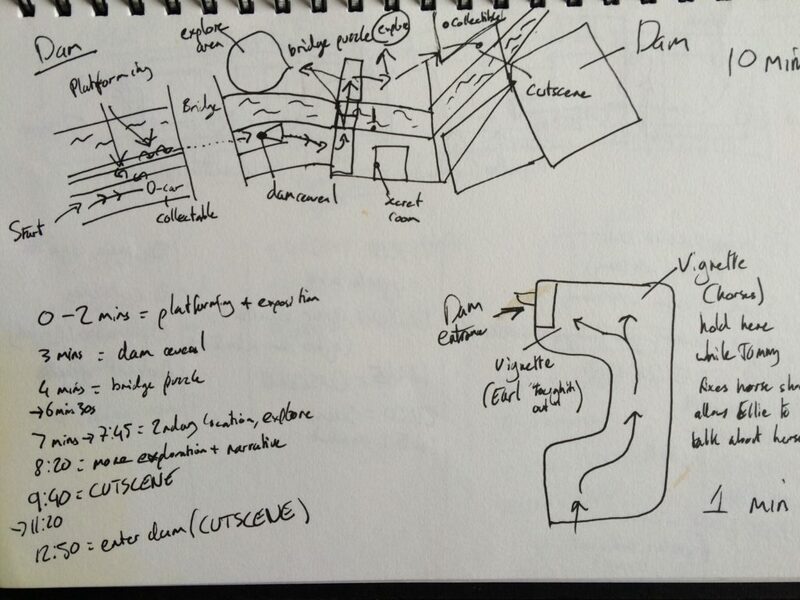 Plan – The player can formulate a plan of action based on the intel they gathered from a vantage point. Execute – The player leaves the vantage point to execute their plan. Execution does not always go according to plan, however, and so the arena is designed for dynamic play styles instead of a strict execution method. Reward – The player is rewarded. Rewards can take the form of equipment and currency OR story information, a cool cutscene or wow moment! When is it ok to be linear? There are occasions where linear design is preferred for gameplay, pacing or technical reasons. Valves are corridors that connect two areas of a level. They can be used to stream one area out and the next one in. Backgating is the process of disallowing a player to return to the area they just left. g. forcing the player to fall down a steep drop. Closing and locking a door behind them etc. A linear section of a level is useful for delivering key story information that is pertinent to the player. Linear sections can ensure the player is facing a certain direction if the designer wants to frame an event or vista for the player to observe. When it enriches the gameplay experience designers may want to include a linear path through an area. g. shimmying across a ledge, walking through a crowd, crawling through a tunnel. Cover for FPS battles is generally split into two categories: Hard Cover and Soft Cover. Hard Cover is any solid object in the gameplay area that the player can use to block incoming fire and break line of sight. It offers complete protection from projectiles. Examples include concrete barriers, walls and pillars. Soft Cover is any object that obscures the player’s profile and can be used to hide from enemies or distort their perception of the player. This cover does not protect the player from projectiles however. Examples include cloth, vegetation, wood and glass. When a player enters a combat scenario they must be able to immediately identify the cover available to them in the area. Consistency in cover through metrics will play a huge role in being able to identify what will protect the player and what won’t. Cover should ideally sit around half-height or full-height. Players become frustrated when attempting to take cover behind an object that still leaves part of their profile exposed to incoming fire, especially if it results in death! If something looks like it should offer cover, then it should be the correct height. Spaces should have interesting cover layouts that include a mix of this full and half-height cover. Cover should be used to block long lines of sight in a level and promote “flow”. Soft cover can also be used to this effect, but players will sometimes expect to move through soft cover (if it’s tall grass, a bush or a breakable wooden crate) instead of around it. This can open up more risky/stealthy routes for players to utilise. Cover should never be scattered around a level at repetitious, consistent intervals. Not only does this create too much visual noise and chaos, it also hinders pathfinding for AI and causes a lot of snagging for players, restricting flow. Cover should instead be “clustered” into interesting groups and placed strategically. The space between cover is as important as the cover itself. Players should be forced to make risk/reward decisions about moving between cover locations. A dash between two cover objects can be an exciting choice as opposed to a monotonous chore. The cover should promote tactical, risk/reward movements across the battlefield and should not just be laid out in a column down the level. The term “rope swinging” is sometimes used to describe how the player moves between cover. Cover layouts should introduce opportunities for flanking tactics. No single cover object should be so overpowered that all attackers must attack it from the same direction. Players should require battlefield awareness to stay alive, as AI should be able to flank cover from multiple directions. Cover layouts should give players a chance to fall back or retreat when overextended. Players are still susceptible to death if they make poor choices, but a little leeway in the form of retreat routes helps keep the pace and flow of combat fluid. This also adds to the sandbox feeling of an arena, as challenges change over time and are never static. In an arena, cover layouts should promote non-linearity within a confined space. If the player only has a limited amount of cover to use, the space will feel very restrictive regardless of how large the environment might be. By planning multiple routes and vantage points through a space, these areas feel less linear and much more open. Cover should be used to guide players around the level, much like a multiplayer level, and promote traversal and exploration. However, in this way cover layouts can also be used to create a specific narrative experience, so knowing how to utilise the mechanics of your game to create these moments is important. In level design, a sandbox space is one which provides players with a greater extent of player agency. The player should have many tools available to them to make meaningful choices with regards to combat and objectives. There should rarely be one, singlular, scripted method to completing an objective and instead the player should utilise emergent game rules to accomplish objectives however they want. Delivering this level of player agency requires a holistic design where game mechanics never have a singular bespoke purpose, and instead can be used in as many ways as the player can imagine. The properties of a mechanic should be modelled to interact with as many other mechanics as the player expects. By creating consistent rules within levels, players will learn the language of the game through repeated interactions with each mechanic. By modelling realistic properties within each asset/mechanic, players can utilise them however they want and expect each asset/mechanic to react accordingly (affordance). Players entering a new space will recognize familiar mechanics, allowing them to make more informed tactical decisions and formulate unique strategies. Players will be able to personalize their play styles, which is why it is crucial to develop features that work within a holistic environment. Any elements in a play space that are too bespoke will deny players the ability to personalize their experience. Levels should try to accommodate a high first-try success rate for player actions. This doesn’t mean the game should be easy! The challenge for players is formulating a tactic or solution, but executing the tactic once they’ve figured it out should not be frustrating. 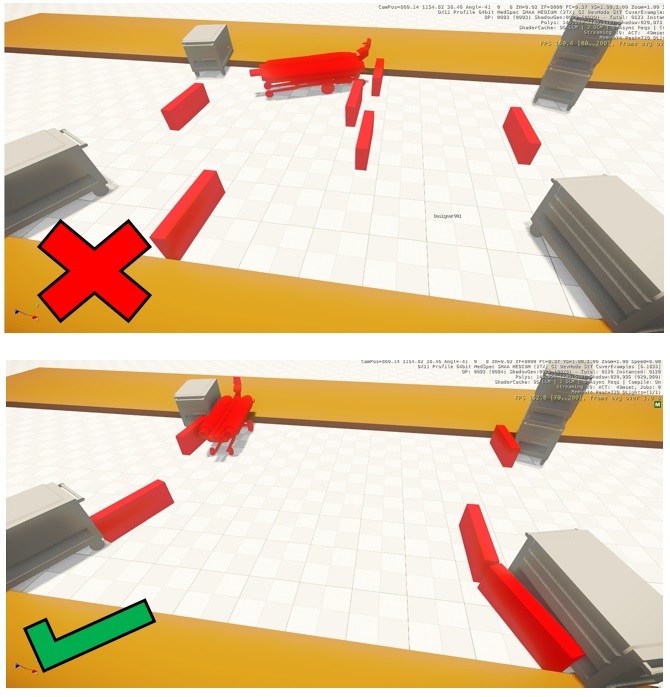 For example, if the player needs to drag a crate from one end of a level to another, the crate should fit down the corridor without having to snag over objects or frustratingly snag on walls. This could lead the player to believe the solution they thought they had figured out isn’t actually the correct one. Any combat spaces should enable the player AND AI to flank one another. Interiors are a great way to accomplish this. Interiors should ideally have more than two entry points to keep players on their toes and watching their corners. Crossfire keeps action interesting. Plan for areas where players and AI can establish “fronts” or bunkers. Height variation and verticality can be used to keep these spaces diverse. Interiors are one of the most obvious areas of cover for players. Take advantage of this by rewarding players for exploring interiors with ammo or new routes inside. AI should always be able to flank, ambush or flush a player out of an interior. This will keep the action flowing around the level and keep combat feeling diverse as well as emergent. Interiors can hold rewards inside them that benefit players who explore each environment. New sandbox toys could be hidden inside or telegraphed with exterior geometry, enticing players to venture in. Interiors are a great way to break up an environment. Ensure players who enter an interior space have two or more ways to exit it. This entry was posted in Level Design on May 13, 2016 by whipwrek.